You knew that Stephen King would make this list somewhere. What would a list of books about getting in the Halloween spirit be without his name. Some might not agree with the selection of the book that I chose. They might think that there are many more scary stories that he has written and this is the obvious choice. But stop for a second, and think about where I come from. This story speaks to me at another level than any of his other books. Being trapped in a Colorado snowstorm is something that has always terrified me. Going stir crazy because of the lack of alcohol and any outside contact is another thing that speaks to me. Add in the fact that it is set in one of the creepiest hotels I have ever spent the night in makes this story really come to life. 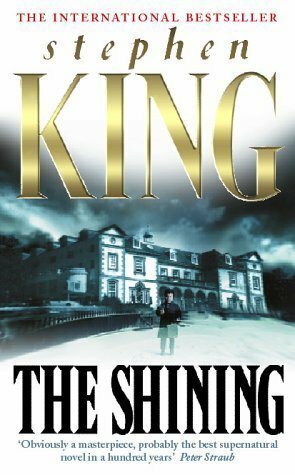 Yes, that is the Stanley Hotel on the cover of this book, and it really does exist in Estes Park, Colorado. It is still open and for a few extra dollars, you can spend the night in Room 237. They will even run the Stanley Kubrick film twenty-four hours a day on their television station, but still reading the book is scarier than the vision that this director had for this horror classic.